There are few common questions that are regularly asked when people are planning to organize visa entry for their Vietnam tours. (TRAVPR.COM) VIETNAM - February 23rd, 2018 - For a foreign traveler who is planning to have a trip in Vietnam, it can be necessary to organize a visa entry to Vietnam. If travelers have the basic information about visa policy of Vietnam, the process of applying visa for Vietnam won’t be a stressful and time-consuming. There are few common questions that are regularly asked when people are planning to organize visa entry for their Vietnam customized tour. Our article here lists the most typical questions that are frequently asked by travelers and the relevant answers to them. 1. 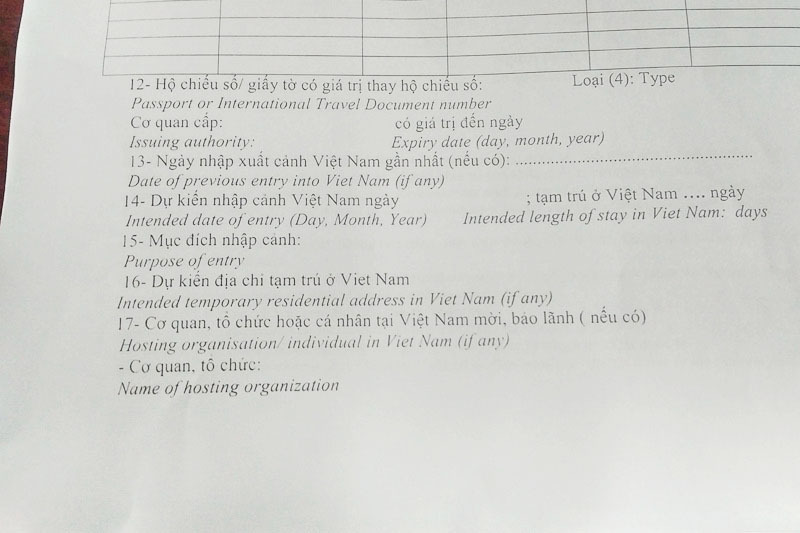 Do I need visa for traveling to Vietnam? In general, most of the tourists go for holidays in Vietnam need to organize an entry visa. However, there is a short list of countries that theirs citizens can receive a short-term visa exemption from the Vietnam Government. The countries that can enjoy the visa-free travel to Vietnam include: Singapore, Malaysia, Cambodia, Indonesia, Thailand, and Laos for a period of up to 30 days; the Philippines for a period of up to 21 days; the UK, Denmark, Sweden, France, Germany, Spain, Norway, Italy, Finland, Russia, South Korea and Japan for a period of up to 15 days; and Myanmar and Brunei for a period of up to 14 days. 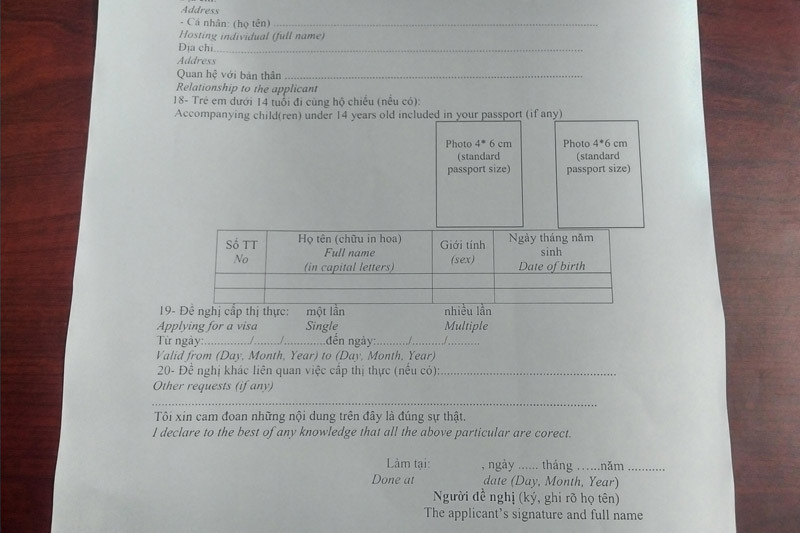 If citizens from the list of countries above plan to have a stay in Vietnam longer than the agreed visa-free period, it is mandatory to apply for full visa via the Vietnamese Embassy or Consulate, the E-visa or the Visa on Arrival. Obviously, anyone travel to Vietnam from other countries out of the visa exemption list, need to apply for appropriate type of visa to match travel itinerary of their Vietnam customized holidays. 2. Where do I get my visa? - Using the old way and apply for visa directly at Vietnamese Embassies or Consulates abroad. This way is likely to be more expensive and the processing time is usually between 5-7 working days. However, it is possible to apply for visa via Embassy or Consulate up to 06 months before arriving in Vietnam so travelers will have plenty of time to prepare well in advance for the holidays in Vietnam. This kind of applying visa can be done by post, email or in person. The procedure is different with different embassies or consulates so it is suggested to check with each embassy. Azerbaijan, Japan, Kazakhstan, Brunei, Sweden, Myanmar, Chile, Czech Republic, Philippines, Russia, Denmark, France, Romania, Bulgaria, Norway, Peru, Cuba, Colombia, Timor Leste, Venezuela, Uruguay, Hungary, Luxembourg, Poland, Slovakia, Finland, Belarus, Armenia, Spain, Ireland, Mongolia, South Korea, Panama, Italy, Greece, Germany, Argentina, China, United Kingdom, and United States of America. 3. Do I apply for single-entry visa or multiple-entry visa? - Single-entry visa: this visa will be a perfect choice for travelers who plan to visit Vietnam only. If you leave Vietnam at any point while having this visa, you will need to re-apply for a new visa in order to get back in Vietnam. - Multiple-entry visa: this visa will be convenient for travelers who want to make a combined trip in Vietnam and Indochina. You can have the flexibility to enter and leave Vietnam at any time to visit other countries in the same region such as Cambodia, Laos, Thailand or Myanmar. 4. 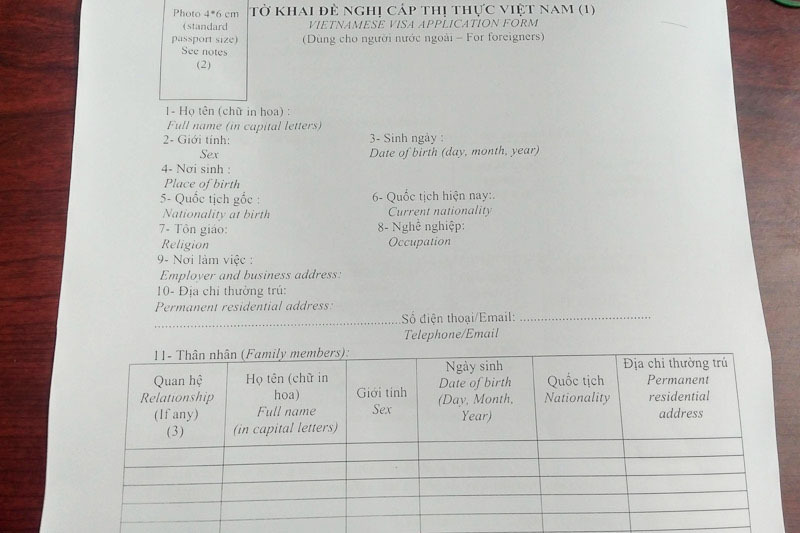 Which kind of document do I need to apply for Vietnam Visa? - For Visa on Arrival: similar documents which include the entry/exit application form (can be downloaded or pick up at airport); 02 passport sized photos, valid passport for at least 06 months after return date; the Visa Approval Letter. Plus the visa stamping fee paid at the airport, $25 or $50 depend on type of visa. This fee must be paid in cash (USD or VND). 5. Is Vietnam Visa on Arrival applied for entering Vietnam via land-borders? The answer is NO. The Vietnam Visa on Arrival is only applied for travelers who are planning to travel to Vietnam via one of the international airports: Hanoi, Ho Chi Minh City, Nha Trang or Danang. If travelers intend to enter Vietnam via a land-border or seaport, they will need to get Vietnam Visa via Vietnam Embassies or Consulates abroad Or via the E-Visa. 6. Are there any destination in Vietnam can be visited without a visa? - A valid passport for at least 06 months after the return date. - Round trip air ticket to and from Phu Quoc Island. The onward destination can be any country except Vietnam. - The stay on Phu Quoc Island must be less than 30 days.